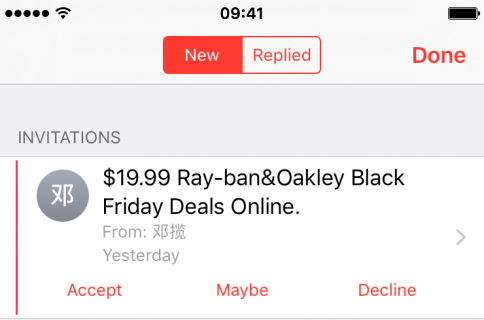 This new link, titled “Report as Junk,” should be visible on iCloud Calendar invites from people who are not in your contacts. “This sender is not in your contacts,” reads the prompt. Simply click Report Junk if this is an unsolicited invite. Upon choosing to report the sender, you see a dialog asking you to confirm the action. 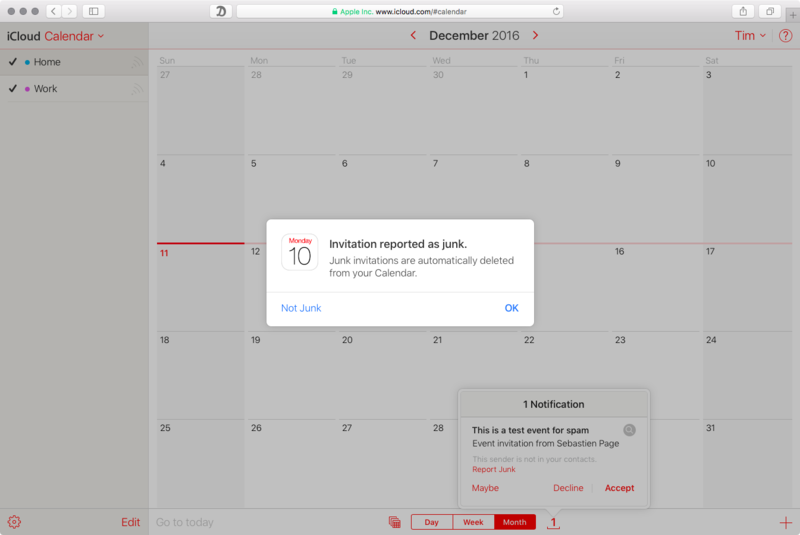 “Junk invitations are automatically deleted from your Calendar,” reads the prompt. If you accidentally reported the invite as junk, just click the link Not Junk to revert the action, which will undelete the invite. Just to clarify, you still have options to Accept, Decline or Maybe the invite. If you’ve been getting spam invites on iCloud Calendar, you may now be able to block those senders with the Report Junk link on iCloud Calendar on the web. 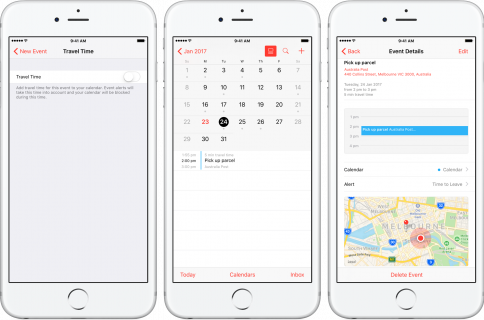 As mentioned, the Reddit poster was told by an Apple representative that reporting spam in Calendar will be rolling out on iOS soon. 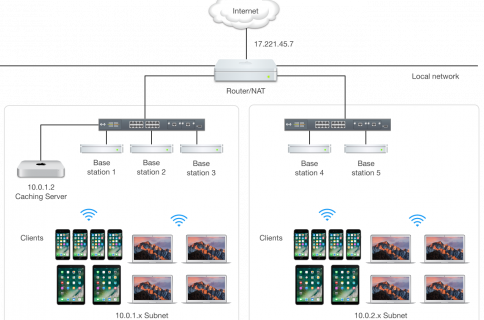 The rep did not specify whether the upcoming iOS 10.2 software update or a subsequent release will fix the issue, neither did he say anything about macOS 10.12.2 Sierra potentially fixing this problem, but we’ll keep you posted. 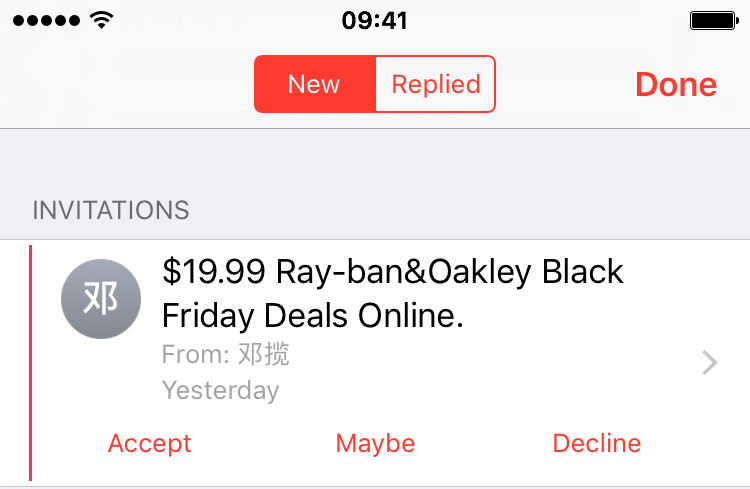 For what it’s worth, I can confirm that the stock Calendar app in the latest betas of iOS 10.2 and macOS 10.12.2 Sierra does not contain this spam-reporting link. At any rate, Apple’s acknowledged the issue and confirmed it’s working on a fix. 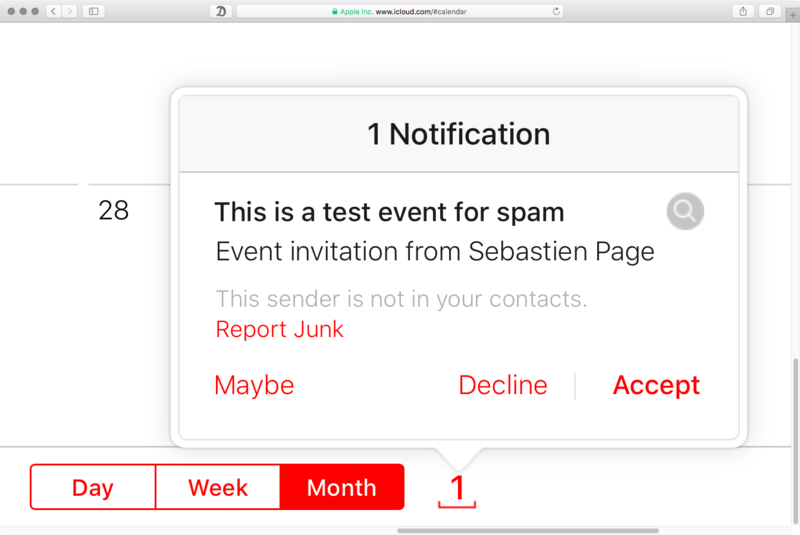 In the meantime, our own Sébastien Page has put together a quick tutorial laying out a few things you can do to disable calendar invite spam on your iPhone, iPad or Mac, and delete events you might have accepted. Séb suspects Apple may have taken care of the spammers server side.